Fundraising is to a charity what sales is to a business, and it relies on the same principle, namely; relationship building. Harvey McKinnon a fundraising expert said “Donor loyalty is not about the donor being loyal to you, it is you being loyal to the donor”. What this means is that just like a business needs to service its customers and live up to their expectations, so too a charity needs to keep their supporters apprised of the organisations activities and goals. With Rosh Hashana, the Jewish new year; not far off, many traditional established Jewish charities in the UK will be preparing to send out appeal letters. Charities sometimes send periodic ones at other times to keep the cause in their donors mind. A useful idea is to connect an appeal to current topics. For example when terror attacks were happening in France and French people were making Aliya en-mass, we created marketing collateral for some Israel based education charities with messages that evoked those events. Another established form of fundraising are charity dinners, and it is an open secret that the dinners are an excuse to create a brochure which is where most of the funds come in from. More recently, as people are getting solicited for funds via mail, newspaper advertisements and emails, the organisations need to raise their head above the noise and become more creative. A new innovative type of fundraising initiative has emerged that offers prospective donors a luxury or fun challenge experience and proceeds go the charity. There are bike-a-thons, car rallies or whiskey trials where they treat participants to luxury stays with good food as well as a form of challenge . Some are happy to fundraise if the incentive is a challenge with no pampering such as Marathons and mud filled obstacle courses and the more extreme ice bucket challenge. We have discussed forms of challenges but it is not a simple as adding a-thon at the end of a new idea. As with as business marketing; all of the creative ideas that we have discussed have to be relevant and tailored to the type of clientele the tzedakah is pitching to. The type of fundraising that is relevant to one demographic with not work for another. One thing most of the above ideas they have in common is the use of people power. Their is no better way to fundraise than to recruit people to your cause who will fundraise for you. 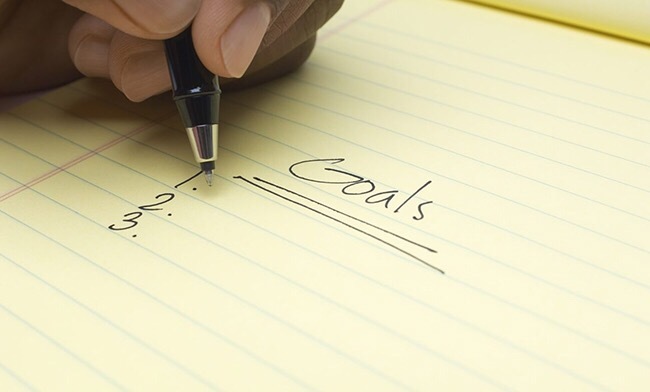 Another important factor in fundraising is setting goals. Kef Bikathon, that I was happily part of, for the past 3 years, have upped their goal year by year and that has become part of the challenge that the participants have taken upon as part of the challenge with the competitiveness fuelling a positive will to generate more money for the cause. Goals in fundraising mean more than just the final figure than the charity is aiming for, it is something that each fundraiser needs to be set day by day and week by week. That rule applies equally in business, In order to achieve results you need to define goals. There was a famous Scottish / American industrialist called Andrew Carnegie who led the enormous expansion of the American steel industry in the late 19th century. He was also one of the most important philanthropists of his era. He hired a consultant to help him improve his workforce and the consultant suggested measurable goals to work towards, Andrew told him to work at it for a month and if he achieves results he will pay him twenty five thousand dollars. In those days that was no small fortune and the end of the month Andrew paid up after seeing the power of goal setting drastically improving his results. As a final note, realise the value of long term relationships by cultivate long term relationships with the donors and the fundraisers. Educate them about the cause, to give them an emotional attachment to it. A nice touch is to send branded gifts before or after events as a token of appreciations and to nurture them to become ambassadors for the charity.